In this article, #WUWorldChanger ~Dr. @MaryannMiller shares how to journey from fear and holiday anxiety to a place of serenity and peace. 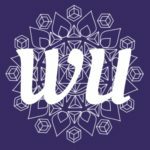 Journey from Holiday Anxiety to Serenity and Peace - The Wellness Universe BlogIn this article, WU World Changer Dr. Maryann Miller shares how to journey from fear and holiday anxiety to a place of serenity and peace.